This is the old Florida Welcome Station that sits on US Hwy 17 about 300 yards south of the St Marys River which is also the state line. 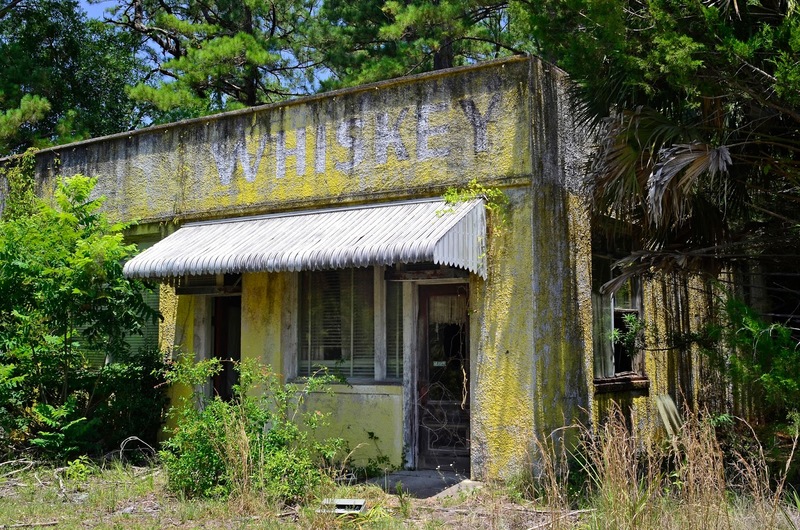 The other end of the building advertises souvenirs and films while this end is all about the whiskey. I believe many of the south Georgia counties were dry back in the day so this was a well placed business prior to the advent of Interstate Highway 95. It's a beautiful old remnant from Florida's past.